Home » What Is SEM (Search Engine Marketing)? » digital marketing company miami » What Is SEM (Search Engine Marketing)? You may have heard the term Search Engine Marketing before, and are wondering- what exactly is it? And what is the difference between what you already know about Search Engine Optimization and Search Engine Marketing? In today’s highly digital and competitve market, it’sessential to take advantage of all the tools at your disposal in order to guarantee that your brand, product, and services are able to reach the clients and consumers that you want them to. A huge part of marketing in these technology-driven times is done on the internet, and digital marketing is essential to the growth and development of a company. Being able to generate the maximum amount of pageviews for your content, especially for visitors who are the most likely to become potential clients and customers of your service or product is a crucial portion of digital marketing, along with internet branding. Search Engine Optimization and Search Engine Marketing both play important roles in helping you achieve your goal of maximizing your pageviews and optimizing your content rankings in order to expand your business and draw in the most customers. If you’re wondering, “what is SEM,” read on to learn more and also about how Search Engine Marketing is able to help your business grow and promote content. MyCity Social is a top SEO company Miami business owners trust. Call us today for your digital marketing and SEO services and expand your business! Firstly, let’s talk about Search Engine Optimization and how it both differs and works in sync with Search Engine Marketing. Between the concepts of SEO and SEM, the main difference is pretty much just that Search Engine Optimization is a part of the broader concept of Search Engine Marketing, or Search Marketing as it is commonly known. It’s like how a square (SEO, in this case) is always in the family of rectangles (SEM, in this example), but a rectangle isn’t always a square. Both Search Engine Optimization and Search Engine Marketing in generally aim towards maximizing the visibility of the company or brand in question through search engines. Search Engine Optimization is focused all around optimizing your website in order to achieve better rankings in the search results on search engines such as Google, while SEM reaches further than SEO to pull in other methods such as PPC advertising that can help to get you more search engine visitors. Search Engine Optimization is a very important concept to utilize in order to optimize the amount of visitors for your company website and attracty the maximum amount of possible clients and customers to your products and services. MyCity Social, a top SEO company Miami business owners rely on,provides premium SEO services to help grow your business and consumer base. Let us continue to discuss and compare the concepts of SEO and SEM. In order to do a clear comparison of Search Engine Optimization and Search Engine Marketing, it is good for us to begin with the definition of Search Engine Optimization so that everybody has a clear concept of what the difference between the two is and how they work together. So what exactly is Search Engine Optimization, and how does it work with Search Engine Marketing? Search Engine Optimization, or SEO is one of those terms that everybody hears thrown around and every business knows that they need. SEO is the process of optimizing your web site content through a variety of means in order to receive trafficfrom search engines, gratis. This means that the traffic that SEO helps your web site receive is a direct, free result of your optimization efforts. A websitethat has been highly optimized is able to be understood much more easily by those crawling on search engines, which in turn maximizes the chances of the website and company in question for ranking higher in SERPS. SEO is constructed out of two main pillars- what is termed on-site SEO, and off-site SEO. On-Site SEO consists of a set of content rules that you are able to apply to your website or blog content in order to make it friendly for search engines. An example of on-site SEO is the correct utilization of optimized titles, solid and content-relevant descriptions, URLs that are well-formatted, the correct usage of H1, H2 and images, and many other types of on-site SEO rules. In order to get a good idea of how you are able to best optimize your web site for search engines, you can click through the services that are provided by MyCity Social. Of course, a lot of the time it’s simply a lot less hassle and effort to simply have an SEO company like MyCity Social take care of it. For affordable prices, you are able to have the maximum impact on your website content and reach the maximum amount of potential clients, while saving your own time and efforts (which may be less effective than those of highly trained SEO experts) towards working on growing your business and making more money! This is especially true for small business owners who are not big enough yet to take their SEO services in-house. The other pillar of SEO in general is Off-site SEO. Off-site SEO refers to the process of receiving votes from other web sites in order to increase the trust of search engines such as google in your web site and its content. This may be a confusing concept for SEO beginners to wrap their heads around, but you can try and think of this concept of off-site SEO as a ranking system. In this particular ranking system, it is the web site that is able to accumulate the highest amount of votes is able to rank the highest, and the ranking, or “trust” of your website, depends on the votes that are coming in. In this particular case of off-site SEO, “votes” are the links that are coming in from other web sites towards your site. The way that trust is accumulated in this concept is also the reason that this type of off-site SEO work is known in the industry as “link building.” It’s not just about the amount of links that you are able to accumulate that point to your website, but also about where these links are coming from that are linking to your website as well as some other factors. For example, if your company sells cat food, then a link that is coming from the Association of Cat Breeders will be worth a lot more in the eyes of search engines than a random link from a little-known source. earch Engine Marketing specifically is the marketing process that has a goal of gaining more visibility in search engines either through the process of garnering more free traffic (SEO) or paid traffic, otherwise known as paid search advertising. You are able to essentially directly purchase advertising space in search engine results through paid search advertising. This means that rather than trying to organically climb higher in ranking on search engines and receive free traffic, you pay money to various agencies in order to appear in the front of searches on these search engines. Google Adwords is the most well-inown advertising agency when it comes to paid search advertising. Through the advertising agencuy of Google Adwords, companies are able to get their ads to show up in the front pages of the Google search results. Companies who use Google Adwords are paying only for the amount of clicks that they receive on thheir ads. 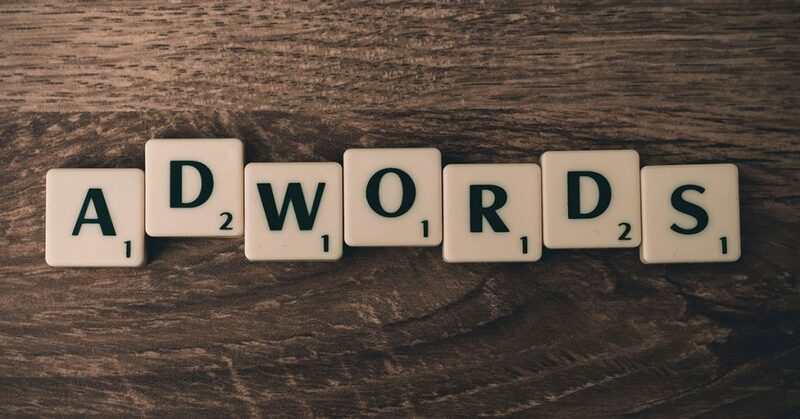 This whole process, due to the way that Google Adwords charge for payent per click on your ad, is also termed in the industry as Pay-per-click or PPC. There are similar systems that are utilized by search engines such as Bing and Yahoo, but the systems that they have created are not as successful or as widely utilized as Adwords is in the SEM field. SEM traffic is an extremely crucial part of internet marketing, and utilizing SEM concepts can help a company’s traffic grow exponentially. The most essential source of all internet traffic for your website is widely considered by be SEM due to the fact that SEM traffic is able to be highly targeted. Think about it in terms of how people use search engines and the internet when they are lookingfor something. It’s fairly common knowledge for anybody who is familiar with the computer age that people generally utilize search engines the most to search for a solution to a problem at hand, an answer to a question they’re seeking, or to learn how to perform a particular activity such as DIY. What this means is that when searches click on a web site from the search results or click on an ad, they are much more likely to be a converter to your content and to investigate your products and services further. This makes SEM traffic highly useful in terms of drawing the specific people who will be wanting to use your products and services and are potential clients and consumers. SEM traffic is much more valuable than any of the other sources of traffic simply due to the high relevancy ofthhe displayed web sites and ads that PPC can generate for your website, which makes people who click on these ads much more likely to utilize your products and services and makes it easier for you to reach out to a larger range of potential consumers and clientele. Although social media platforms such as Facebook and Twitter are continuously attempting to optimize their advertising platforms in order to utilize targeted traffic, and this is also something to keep an eye on and to include in your digital marketing strategy, the traffic that is coming in directly from search engines still holds a better ROI. If you are tired of waiting for your SEO efforts to pay off, you may want to think about adding Search Engine Marketing to your Internet Marketing strategy in addition to the organic traffic generated by keywords and on-site SEO. Now that your question of “what is SEM” is answered, it’s time to put these concepts to work and grow traffic to your website and consumers and clients for your company! MyCity Social is a top SEO company Miami business owners rely on. Call MyCity Social today for your SEO and Internet Marketing needs! March 4, 2019in digital marketing company miami, internet marketing, seo company miamiby MyCity SocialComments Off on What Is SEM (Search Engine Marketing)?